(Phys.org) —People from 140 countries across the globe will be signing a treaty this month—its purpose is to reduce the amount of man-made mercury pollution being released into the environment. The treaty signing follows meetings by representatives that have previously agreed to sign it—the signing will be held in Minamat Japan—site of one of the largest mercury spills in history. David Krabbenhoft and Elsie Sunderland of the U.S. Geological Survey and Harvard University respectively, have published a Perspective piece in the journal Science, on the treaty and the many issues surrounding the use of mercury and the problems it can cause. Contributing correspondent for the same journal, Lizzie Wade has also published an article describing the single worst mercury polluting offenders—artesian miners—and the difficulties in getting them to stop their practices. Global warming has filled the headlines for years, outshined in the press but still as ominous, however, is the growing problem of mercury pollution. Like global warming, it's not an easy problem to solve and likely won't be for decades, if not centuries. This is because once mercury gets into the environment it can take hundreds of years to make its way to non-harmful places, such as silt in the bottom of the ocean. Over the past couple of centuries, mercury has made its way into the environment primarily due to burning coal to make electricity. Most of that mercury is still here with us—once in the atmosphere it is brought down to land when it rains making its way into the soil. Fires can cause it to move back into the atmosphere and floods or heavy watering can cause it to travel through the water table into streams, rivers, lakes and the oceans, some of which makes it back into the atmosphere through evaporation. Fortunately, scientists have realized the dangers posed by mercury (birth defects, brain disorders, etc.) and the result has been a major decrease in the amounts of mercury emitted by coal firing plants and other sources. Sadly, as Wade describes, such sources have recently been replaced by individuals using mercury as an aid to small operation gold and silver mining. They are now the single largest source of mercury polluters, and little is being done to stop them. Most such miners are poor and rely on the small amounts of precious metals they are able to extract from mud in remote places such as villages in Peru or parts of Asia. The treaty being signed in Minamata aims to curb such practices, but is largely symbolic. For now, the only way to stop the practice appears to be offering miners a better alternative, and thus far, it seems no one has come up with one. 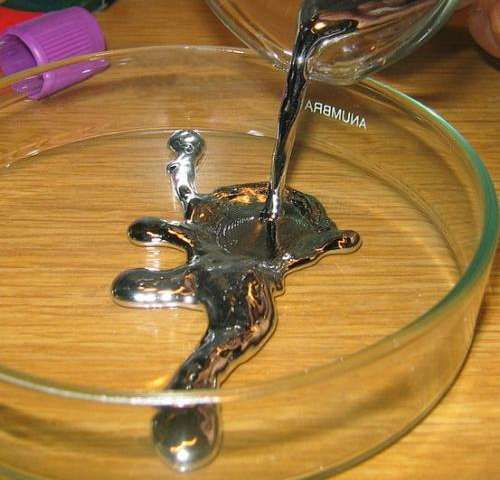 More than 140 nations recently agreed to a legally binding treaty on reductions in human uses and releases of mercury that will be signed in October of this year. This follows the 2011 rule in the United States that for the first time regulates mercury emissions from electricity-generating utilities. Several decades of scientific research preceded these important regulations. However, the impacts of global change on environmental mercury concentrations and human exposures remain a major uncertainty affecting the potential effectiveness of regulatory activities.